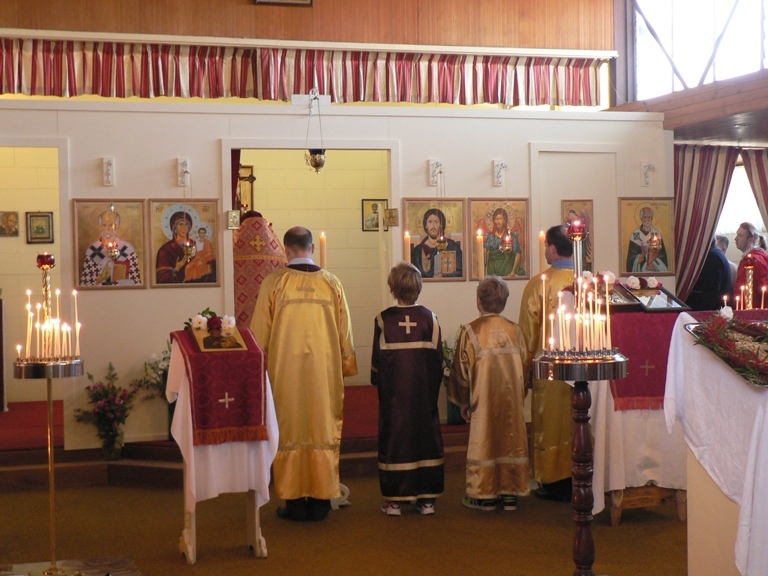 St Patrick Orthodox Mission had an added blessing at the Divine Liturgy on Sunday 2 October (n.s. 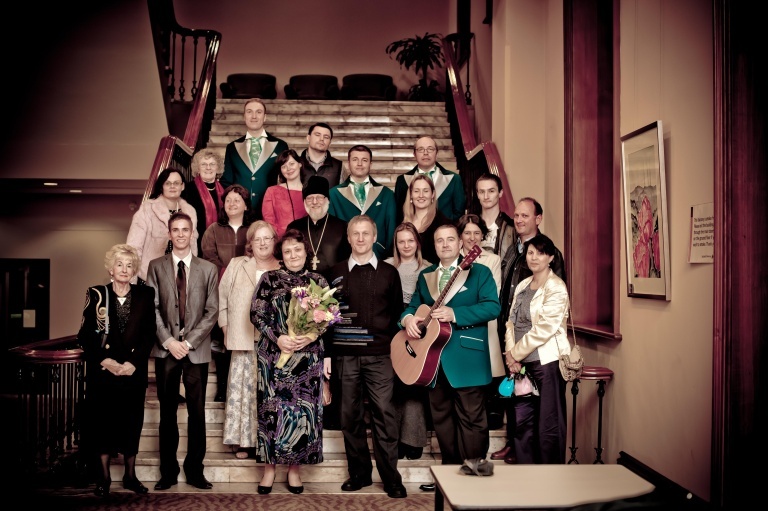 )/ 19 September (o.s), when the St Petersburg Quartet joined our choir in singing for the service. 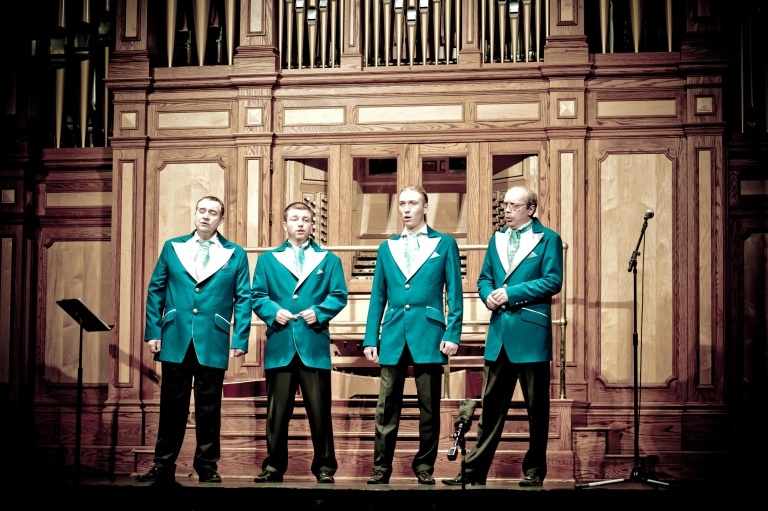 The St Petersburg Quartet, or Peter’s Quartet, was created in May of 1994 by four graduates of the St Petersburg Conservatory: Igor Krushelnitsky (conductor, bass, piano), Paul Napalkov (baritone), Arseny Garibjan (2nd tenor), Anatoly Lomunov (1st tenor, guitar). After their performance at the Adelaide Town Hall, on 30 September, the quartet quickly and generously responded to a request to come and sing at the Mission. 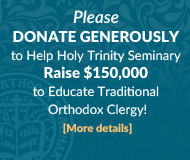 Joining their voices to our small choir was itself a delight, and they lifted our hearts in worship with their renditions of a number of the Slavonic hymns. 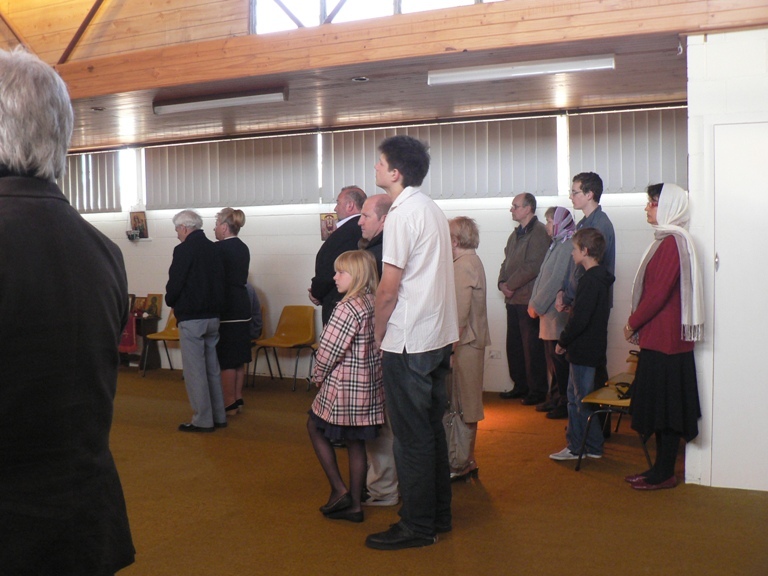 After the Liturgy they had a short while to sing a few Russian songs for the delight of the congregation, before departing for a county concert engagement. The visit of the quartet to the Mission attracted a large congregation, many of whom were not regular churchgoers and thereby helped to further the Mission’s outreach. We wish the quartet well in their Australian tour and the Lord’s blessing for safety in travel.